The names Lincoln and Kennedy each contain seven letters. Both were particularly concerned with civil rights. Both wives lost a son while living in the White House. Both Presidents were shot on a Friday. Both were shot behind the head. 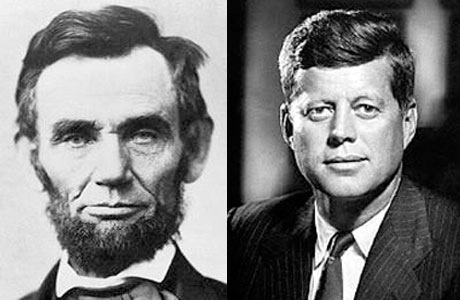 Here is an interesting one… Lincoln’s secretary was named Kennedy. Kennedy’s secretary was named Lincoln. Both were assassinated by Southerners. Both were succeeded by Southerners. Both successors were named Johnson. Andrew Johnson, who succeeded Lincoln, was born in 1808. Lyndon Johnson, who succeeded Kennedy, was born in 1908. Both assassins were known by their three names. Both names are made of fifteen letters. Mr. Booth shot Lincoln in a Theatre called “Ford”. Lee Harvey Oswald, shot Kennedy in a car called “Ford” Lincoln. Booth ran from a theater and was caught in a warehouse. Oswald ran from a warehouse and was caught in a theater. 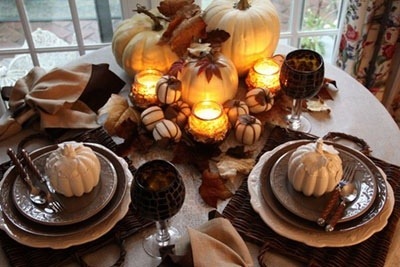 Right, so happy Thanksgiving to all Americans!! 🙂 have a nice celebration. I must say what I am thankful for? Oh, and being healthy, having the best family and nice friends and such… Of course.